The English Premier League is getting back underway in a few days, three months later after the end of the 2015/2016 season. England’s forlorn Euro 2016 campaign quenched our thirsts until the end of June, but since then, we have been looking forward to the start of the 2016/2017 season. With a few days away from the first match, we are also expecting the start of the FA fantasy league football. In this article, we break down a few of the strikers that you should consider selecting in your team this season. We also look at the key injuries/suspensions ahead of the start of the season. It is without no doubt that Arsenal’s defense is permeable to Liverpool’s attack, with Laurent Koscielny, Gabriel, and Per Mertesacker all missing in action. Leicester City’s Robert Huth and Manchester United’s Chris Smalling are all suspended for their sides as they start the weekend against Hull City and Bournemouth respectively. With Manchester City, Leicester City, and Manchester FC all having favorable games during the first month of the 2016/2017 season, it's highly recommended that you select some of their players. I’m certain that most of you will have to buy one big name striker in the FA fantasy league. Being the best attackers in the league at the moment, they will definitely cost you some huge sums of money. 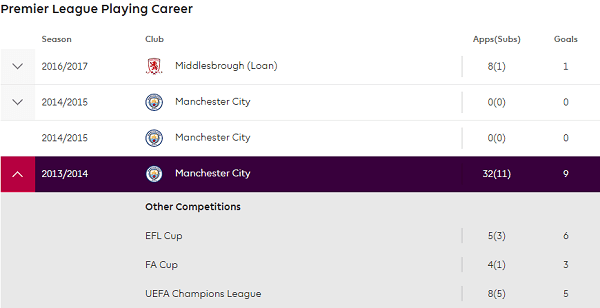 For example, Sergio Aguero stands at a whopping £13m, £1.5 more than any other striker and player in the FA fantasy league. Most of us will agree that he really deserves this price tag as he is one of the most consistent goal scorer provided that he is fit enough throughout the season. Now playing under Pep Guardiola, we all expect that he is going to score more goals, given Pep’s style of play, which is more of attack. 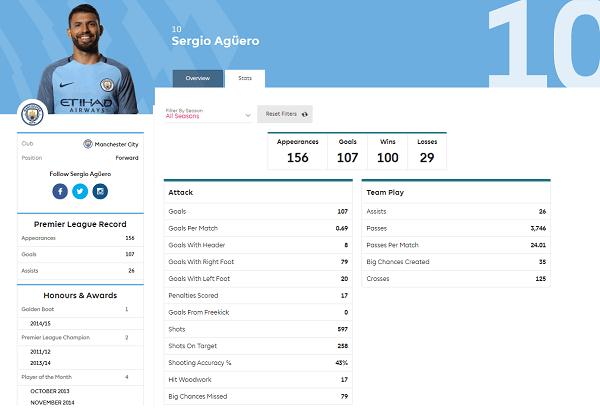 If you are willing to spend huge on this season and make an impact on the FA fantasy league, then Aguero is your number one choice. Slightly below Aguero is Zlatan Ibrahimović, who is priced at £11.5m. He is big, well built and has the required skill to make him one of the best pure center forwards in the world. With his style of play, Zlatan is a perfect fit for the Premier League and Jose Mourinho’s way of play. If you wish to save the £1.5m from Aguero and go for the Swedish man, I totally understand you and throw my full support behind you. We have other players in double digits that you may also want to consider when creating your FA fantasy team. Harry Kane, valued at £11m has proved doubters wrong over the course of two seasons as a top crop striker. Being the main man for Spurs, I won’t knock you up for choosing him. Other players worth considering are Daniel Sturridge, and Jamie Vardy, both valued at £7.5m and £10m respectively. Having scored in the FA community shield, and having a new partner to play with upfront, I will definitely back you if you decided to choose Vardy. As for Sturridge, I cannot trust him, given his history with injuries. The first player that crosses my mind in this section is Divok Origi. The Belgian International and Liverpool forward, you can count on him to do what Daniel Sturridge would do in front of goal. As a center forward and the only replacement to injury ridden Sturridge, I can tell you that he is worth the price tag and deserves a chance in your team. I have a quartet at £6.5 that I think you should also consider selecting for your FA fantasy league team. To start us off with the quartet list is Loic Remy. This is, however, worth discussing only if he goes to Everton FC as part of the Romelu Lukaku deal. If the deal goes through, you should expect him to be the main man at Goodison Park. He will be a tremendous value and no-bargainer should the hugely anticipated deal go through. The three other players that I really like how they are valued are Saido Berahino, Alvaro Negredo, and Charlie Austin. Having missed a year from the FA fantasy league, Charlie Austin is now back and ready to pick up from where he left. Negredo, who also went away to Spain for a short stint is also seen as a worthy pick. During his time at Manchester City, he scored a total of 23 goals in 48 appearances in all the competitions. For a striker of his caliber, this is no doubt an impressive record. As for the West Bromwich player, who was rumoured to be leaving a few seasons ago, he is bound to make his impact felt after missing the better part of the 2015/2016 season due to injuries. Given a fresh start, I’m certain that he is going to carry West Bromwich to mid-table at the end of the season. In all likelihood, you are bound to have a striker in the £7.0m or below category and any of the mentioned strikers would prove to be a good bargain. Whom Should You Get Cheap? For the following striker, they are valued at £6m or below and are worth considering. Our first players will be Benik Afobe and Diafra Sakho who are all valued at £6m. For the Bournemouth player, he is a lethal striker especially when he’s paired with Callum Wilson. Given the way that Eddie Howe has set his midfielders, I’m certain that Afobe will continue shining into this new season and keep Bournemouth in the top tier, just like he did in the 2015/2016 season. For Sakho’s case, I’m closely following on his transfer progress to West Bromwich, which is currently on ice, but should he stay or leave to another team, he is a player that you would want to roll the dice on.